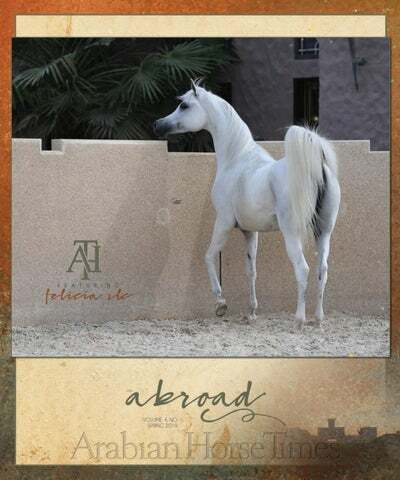 ABROAD SPRING 2019 Throughout my life, my connections with the Arabian horse and the people that surround our breed have bolstered me, supported me, and given me great comfort. Whether it is at a major event in Dubai, the World Championships in Paris, or the amazing spectacle that is Scottsdale—or simply sitting around the fireplace at home with friends—I deeply appreciate the opportunities to engage with so many in our community. You keep me current and curious and are always a source of new and exciting perspectives. It is our mutual love of the Arabian horse that brings us together, regardless of our backgrounds, nationalities, and cultural heritage. Somehow, the soft, dark eyes of a sweet mare can open our hearts in a split second, no matter what fear or experiences have kept that heart from truly beating up to that point. The Arabian horse carries a special magic that envelopes us and captures our imagination; a magic that encourages us to take a leap of faith and step outside of ourselves. It is the indefinable “glue” that bonds us in all of our diversity. I am proud and humble to have spent my life promoting the Arabian breed. Whether as an exhibitor, breeder, or magazine publisher, it has been a pleasure to devote myself to that endeavor. And as 2019 rolls into spring, I look forward to the next conversations, the next competitions, and the next champions that will emerge into the spotlight. Most importantly, I look forward to the new human connections that are certain to play a big part in the coming year. It is a privilege to help bring our community even closer together through Arabian Horse Times and AHT Abroad. It is my fervent hope that within these pages, we will continue to learn and care about each other as we celebrate the glory that is the Arabian horse. © Copyright AHT, Inc. dba Arabian Horse Times. All rights reserved. Reproduction in whole or in part without permission is prohibited. Articles or opinions published by the AHT, Inc. dba Arabian Horse Times are not necessarily the expressed views of the AHT, Inc. dba Arabian Horse Times. 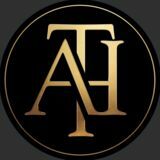 AHT, Inc. dba Arabian Horse Times is not responsible for the accuracy of advertising content or manipulation of images that are provided by the advertiser. AHT ABROAD Volume 4, No. 1, Spring 2019, is published by AHT, Inc. dba Arabian Horse Times, 20276 Delaware Avenue, Jordan, Minnesota 55352. Fate of Halter: The European Triple Crown—Becoming More Rare Than A Solar Eclipse? Felicia RLC (Shael Dream Desert x Camelia K), owned by Ajman Stud. The world we live in is amazing but underestimated often. Just imagine, every day we could be experiencing something that may go down in history and not even know it. The 2018 World Championships in Paris where filled with just such magic of first-time experiences and definitely will go down in history. Judges Leslie Connor, Koenraad Detailleur, Francesco Santoro, Ahmed Hamza, Joe Polo, Murilo Kammer, Holger Ismer & Regis Huet. Possibly, most people expected “business as usual” at the World Championships, held under the patronage of His Majesty Mohammed VI, King of Morocco, at the Paris Nord Villepinte Exhibition Centre. Still, the highlight of the European show season never ceases to amaze and provided some positive surprises. Firsts in Paris: Miles Buckley, Rod Jones, Raphael Curti, Nicolas Frere and Glenn Schoukens. Ajman Stud’s Admiraal with Rod Jones experience of his first Gold at the World Championships. Rod and his brother, Ryan, are marketing and showing for Al Muawd Stud. They discovered the outstanding qualities of Admiraal and decided to show him for Al Muawd Stud. When Admiraal was sold to Ajman Stud, Rod asked if he may keep showing the colt. “Admiraal is a show machine. I understand how he is, how he shows, and I am happy Sheikh Ammar agreed,” says Rod, who also showed Admiraal’s sire Emerald J in the UAE. Most of these experiences we can’t possibly understand without experiencing them ourselves. We can imagine how we might feel, but we can’t actually know. Glenn Schoukens knows how his dear brother, Tom felt, when he won his first World Gold Championship this past November. Glenn closed out a very successful season by showing the lovely Anood Al Nasser to World Gold Champion Senior Mare. A success that not only made Glenn proud, but also Anood’s breeder, Al Nasser Stud of Qatar, and her owner, Akmal Stud, Saudi Arabia; another first it being the first Gold Championship for Akmal Stud’s owner, HRH Prince Abdulmajeed Bin Sultan Bin Abdulaziz Al Saud. Glenn also showed ES Sarab for Emirates Stud. The splendid stallion won his class and came close to winning a championship. The title of Platinum World Champion Female went to the immortal 14-year-old Emandoria (x Emanda), a truly regal mare from Michalow’s E-family and another representative of the Gazal Al Shaqab legacy. The result of mating two World Champions, she is herself a World Champion and winner of the 2013 Triple Crown. After winning World Gold Champion Yearling Colt in 2016, D Seraj came back to win again. Bred and owned by Dubai Arabian Horse Stud, the FA El Rasheem son is a maternal half-brother to the World Silver Champion Junior Filly D Ajayeb, out of Ladi Veronika. It was a great accomplishment for Dubai Arabian Horse Stud who also earned the Best Breeder Award. Hanaya Studâ&#x20AC;&#x2122;s Wadad Zamani (Laheeb x Zena Al Buraq) always gives an impressive appearance; attested by her numerous championship titles earned. In Paris, Wadad Zamani added Bronze Champion Senior Mare to her vast collection. The World Championships are about amazing horses, meeting old friends and making new ones. This year even saw a wedding proposal in center arena. It is an atmosphere where one can soak up horse events taking place in five areas within the complex, as well as horserelated shopping. It is small world unto itself. The world we live in today is amazing and underappreciated; not only at the World Championships, but every day, where we may have the opportunity to participate in something historical. Take your time and appreciate everything good in life, because you never know when the world will hand you an amazing experience. he air is filled with the melody and rhythm of typical Arabic music, the sounds of flute, bass drum, ghaita and rebec. As alive as the music, is the atmosphere of the Prince Sultan Arabian Horse Festival (PSAIAHF). The place is filled with women in their black abayas; families enjoy a leisure day against the backdrop of music, playgrounds and food trucks. Horses inny and an enthusiastic crowd applauds. The PSAIAHF is the first ECAHO title show of 2019 and held under the patronage of HRH Prince Khaled Bin Sultan Bin Abdulaziz Al Saud, who opened the doors of His Al Khalediah Farm in Tebrak, west of Riyadh, for five days. The organizers followed a trend in Saudi Arabia; turning Arabian horse shows into festivals to gain more attention and bring new people into the scene with their family friendly atmosphere. Championship honors lure horse owners and breeders, but prize money of 1.2 million Euro, also helps. From 1st to 7th place, owners received a valuable amount of prize money. Senior Gold Champions were awarded 700.000 Saudi Riyal (around 165.000 Euro). NEW IN WELS : IN HAND TRAIL, RIDDEN TRAIL AND WESTERN PLEASURE Â 31 MAY AND 1 JUNE.